Fairfield Stripe Dress https://www.review-australia.com/global/fairfield-stripe-dress-navy/RE19DR153.RENVY026.html Fashion-forward with a mod vintage edge, the Fairfield Stripe Dress is the day dress you've been dreaming of. The fit and flare striped beauty is bold in colour and sleek in texture ?crafted from a soft stretch viscose blend and fully lined. 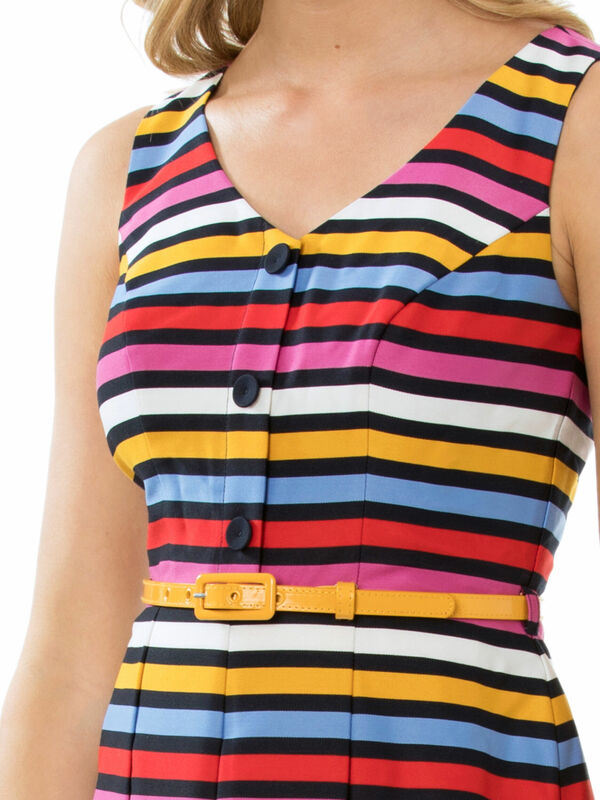 The sleeveless style features a fitted bodice with button detailing, wide straps and a soft v-neckline. Box pleats through the skirt and a removable yellow patent belt at the waist add impact and flair. Simply add patent red pumps to complete the look. Worn with the Minnie Heels. 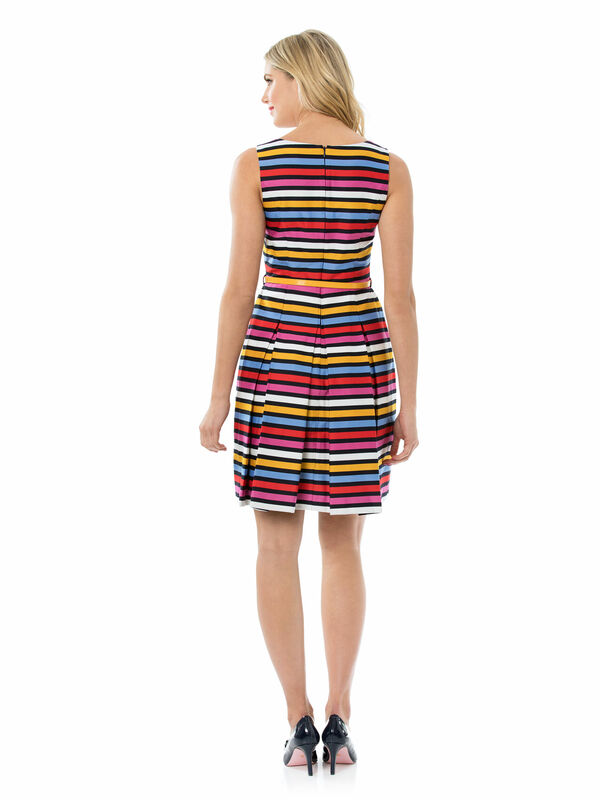 Fashion-forward with a mod vintage edge, the Fairfield Stripe Dress is the day dress you've been dreaming of. The fit and flare striped beauty is bold in colour and sleek in texture ?crafted from a soft stretch viscose blend and fully lined. The sleeveless style features a fitted bodice with button detailing, wide straps and a soft v-neckline. Box pleats through the skirt and a removable yellow patent belt at the waist add impact and flair. Simply add patent red pumps to complete the look.